It is common that during uncertain economic outlooks, the entire world divert their focus unto gold. Based on this fact nothing is more critical than to maintain the confidence levels of the consumers which include the average investor as well as governments and the countries that produce gold. In order to do this The World Council introduced the ‘Conflict Free Gold Standard’ program in order to establish absolute confidence that the precious metals produced under the stipulated principles are obtained, extracted, processed or mined in such a manner that it does not by any means fuel armed conflict or provide aid in any manner whatsoever to armed militia or groups or even associated with any practice that is deemed as the abuse of human rights. Enterprises that are associated with gold mining, directly or indirectly play a fundamental role towards contributing to development of low income nations and alleviating the poverty levels in these developing nations. 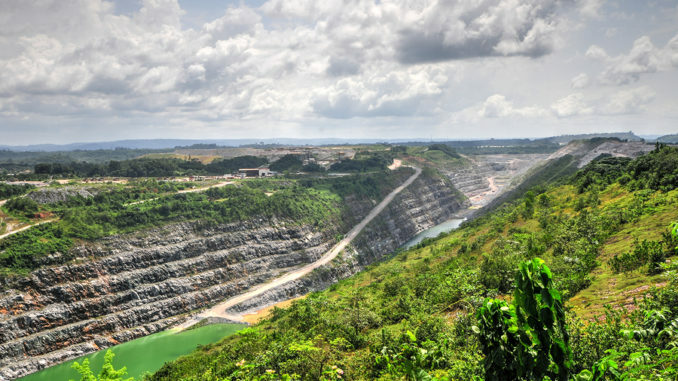 However, incidences of conflicts have raised doubts on the ethical practices of certain mining companies and therefore with the introduction of the ‘Conflict Free Gold Standard’ program, the direct economic contribution is maintained and the possibility of human rights abuse reduced significantly. With the introduction of this new measure the new possibilities created for these countries and its populace is positive and sizeable. The fact that the supply chain for precious metals trade is indeed a highly complex due to the a variety of factors which includes the role gold plays as a parallel currency, recycling that accounts for approximately 35% of the annual supply of gold, as well as the significant contributions from artisanal sources which are more often than not, not only informal but also illegal at times. The Conflict Free Gold Standard applies to World Gold Council members and the responsible companies that are involved in mining the shiny yellow precious metal from the earth and the approach through which these companies may demonstrate that the gold that they mine is mined in a way that does not in any way fuel conflict or advocate the abuse of human rights typically associated with low income nations where desperation could lead to the inhuman treatment of souls driven by profits from the sale of gold. The Conflict-Free Gold Standard program provides a blueprint that gold producers need to abide by and provide the assurances that the gold that it has mined does not the root cause of unlawful armed conflict which very often contribute to grave and appalling human rights abuses that goes far beyond just breaching international humanitarian laws. This standard is open for all parties involved in gold mining activities and those participating in the program will be required to publicly disclose their conformance to the conflict free standard on top of an external assurance on the disclosure as a guarantee of their compliance. This initiative is long overdue and it will bring forth changes in the industry as it challenges the unlawful armed conflicts that are rooted on gold production.